Stop and drop that bacon, egg, 'n' cheese. And the Gatorade. These healthy hangover cures are going to make you feel like a million bucks, plus are totally guilt-free. (As for how you feel about your dance moves last night? We can’t help you there.) 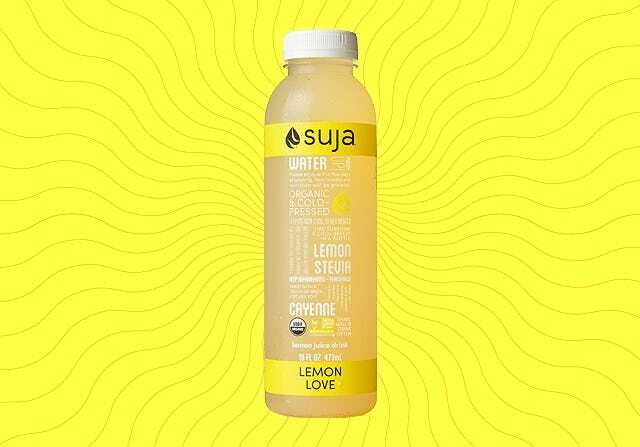 “But make sure to drink fruit-based juices on an empty stomach to allow them to be quickly absorbed and work more efficiently,” suggests Annie Lawless, cofounder of Suja. And, with Thanksgiving and the holiday season just around the corner, we all have those evenings when we go a little too hard. But, never fear. There are plenty of ways to hydrate and energize. Ahead, seven delicious drinks that can help you turn those mornings around. 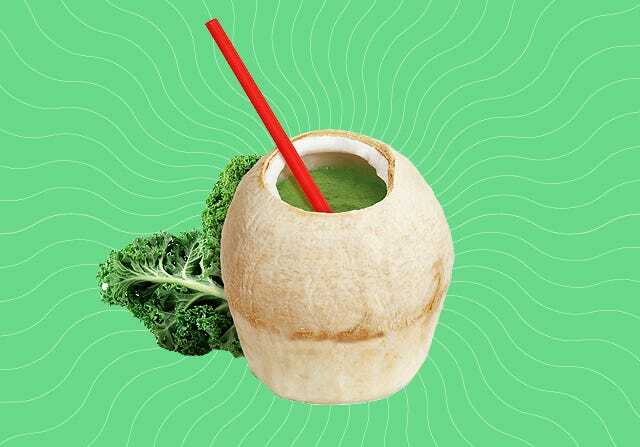 Juice Generation Kale Kolada, $8.95, in-store only. Blend; drink over ice or at room temperature. “The hero ingredient here is the coconut water as it is an excellent hydrator and supplier of electrolytes,” says Juice Generation-founder Eric Helms, who shares even more recipes in The Juice Generation: 100 Recipes for Fresh Juices and Superfood Smoothies, out January 2014. But, you can preorder now. “In fact, the electrolyte content is more than double that of standard sports drinks,” he says. 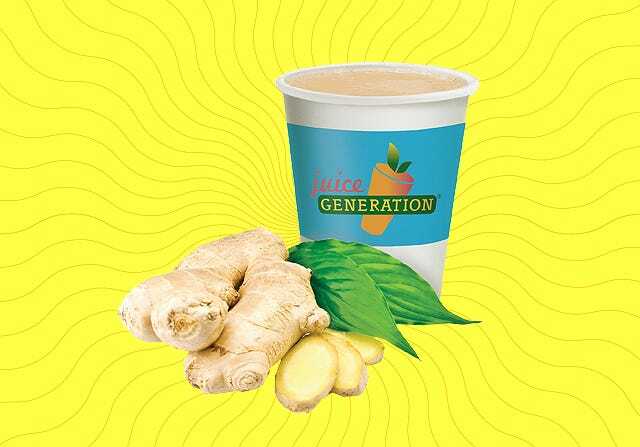 Juice Generation Ginger Fix, $5.25, in store only. Stir all of these ingredients together and heat on stove top in a saucepan (or use an espresso steamer) until they come to a low boil; drink while hot. “Ginger is known to settle an upset stomach, and ward off and subdue any nausea,” says Helms. So, if you're feeling a little queasy when you wake up, a nice ginger tonic might be just the drink to do the trick. The small amount of agave can also help to settle that nauseous feeling. 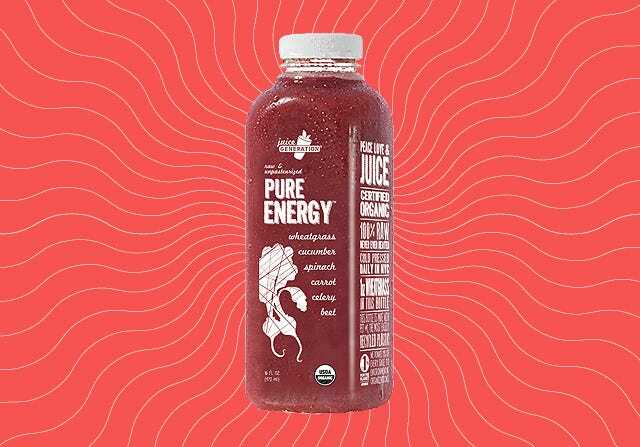 Juice Generation Pure Energy, available in-store or online. Juice all of the above together in a juicer. 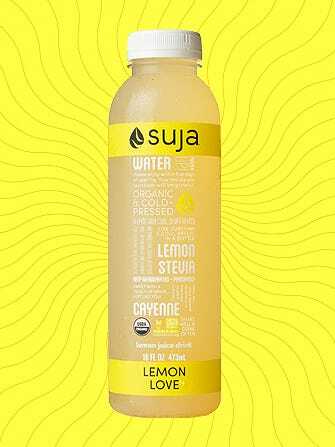 Suja Lemon Love, $6.99, available online. Combine ingredients. Drink chilled or warm. 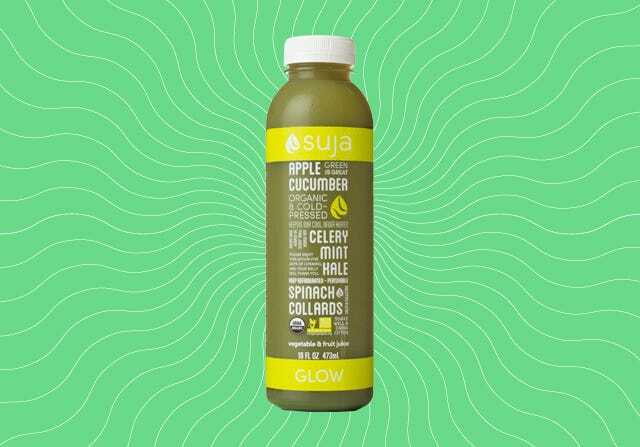 Suja Glow, $6.99, available online. Put all of the above into a juicer. Put in a juicer; serve room temperature or over ice. Lawless came up with this recipe just for us, and we're happy she did. 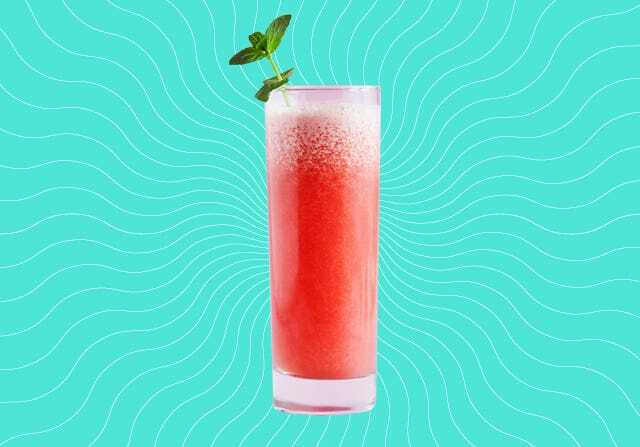 The combo of watermelon and fresh lime makes us think of relaxing on the beach instead of dragging our feet to work after three glasses of vino. “Watermelon is a powerful diuretic that will help facilitate elimination and rehydration, while lime helps stimulate stomach acids which help with the removal of toxins,” says Lawless. Nuun Recovery Smoothie, $24 for four tubes, available online. Add the 5 oz. 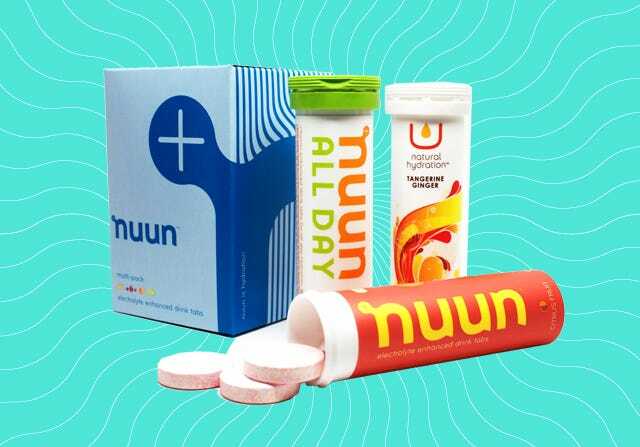 of OJ into a blender, drop the NUUN tablet in, and wait for it to dissolve. Once the tablet disintegrates, add the remaining ingredients.